Latest news about current issues, any workarounds and fixes. 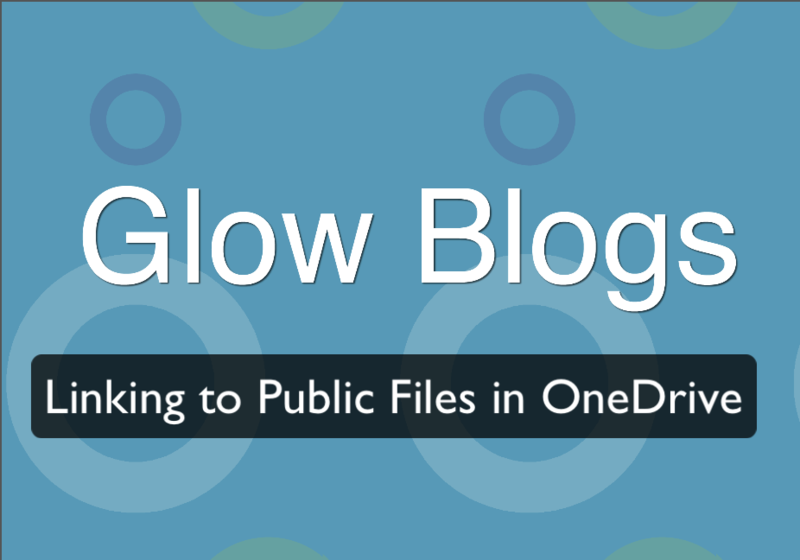 We have discover a small issue with the Jetpack sharing module on Glow Blogs. 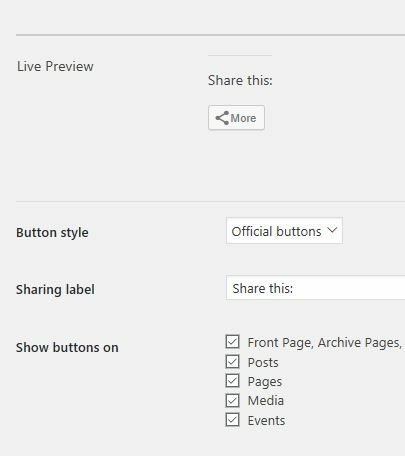 If Facebook and Twitter are selected to hide behind the share button they don’t show in IE11 it doesn’t work with Official buttons so the other option needs selected or they have to be shown individually. We use the Icon Only setting here on the help blog. We hope to fix this in a update soon. Twitter has changed their API and no longer allow you to embed a twitter search on a webpage. This means the option to use a twitter search via a Widget ID in a blog widget will not work any more. The option to embed a profile will still work. There may be some blogs that used the Widget ID to embed a profile as before a previous change the Widget ID was the way to embed a profile too. These sites will need to be updated to use the profile option. Glow Blogs & Report a Concern – Connectivity Issues Work Completed. Monitoring – Essential Maintenance was performed to the Blogs Service last night in an effort to resolve the performance issues. The service has stablised at present. We will continue to monitor closely. Investigating – Unfortunately, efforts to implement a fix have not been as effective as hoped. We continue to experience intermittent performance issues with Glow Blogs and Report a Concern. We have recently been experiencing performance issues on Glow Blogs around 3pm each day. It has been agreed to allow a one hour outage to the Blogs service on Sunday 17th September between 15:00 – 16:00. This will allow our technical teams to conduct further in-depth investigations. We understand this isn’t ideal but it is necessary to progress our investigations. We have had reports with a problem uploading PDF files to Glow Blogs. PDFs that are uploaded to blogs are linked to the image thumbnails of the pdf. This looks like the first page of the pdf. The developers are investigating a fix which we will be implemented as soon as possible. We have a workaround at rather kludgy workaround. You can upload pdfs somewhere else on the internet and link to them in your blog. A few Glow Blogs users have highlighted an issue with ePortfolio blogs whereby it is not possible to add new sections to a profile. This is only impacting new ePortfolio blogs that have been created post October. A fix has now been identified for this and will involve running a script to update the affected blogs. This script will start running from today and could take a few days to complete. However, as the blogs get updated the users should see the issue being resolved immediately. NB there is also a problem seem by some users where the plugin is not activated when creating an e-Portfolio blog, the workaround is to manually activate the plugin in the Dashboard: Plugins and click activate under the e-Portfolio Plugin. Update: October 2016: The jetpack twitter widget has been updated. You now no longer need the id, you can add a widget just using your username. This post will be updated soon. Twitter has changed the way it provides widgets. In the past you could add a timeline of your tweets by creating a widget on twitter and using the id of that widget in the Twitter Timeline (Jetpack) widget. Most widgets for twitter embeds no longer have ids. There is no id to put in the twitter widget. You can paste that code into a text widget. This will strip the script tag out for security reasons. The widget will just display a link. If you add the ‘Twitter Timeline (Jetpack) widget’ as well, without filling in any fields, the timeline will display properly. Unfortunatly this strips the data-height=”500″ paramater so the widget display as very tall indeed. Where 400 is the height in pixels that you want the widget to be. The only widget that provides an id is the search widget, you can use from:username in the search field to make a widget that you can extract an id from to use in the jetpack widget. Update Nov 2016: The inline scroll module is now working unless you use the jetpack CSS module. And see an example of the module in action. The infinity scroll jetpack module is currently not working. The blogs development team are aware of the problem and investigating a fix. There is no timescale for a fix currently and we recommend turning the module off. We are having a problem where the name displayed as the ‘owner’ of the automatically created posts in an e-portfolio changes. These posts are created when the e-portfolio is created and should be attributed to Glow or Glow Admin. Sometime this display name changes to the name of an actual glow user. This change is cosmetic, it does not affect the ‘owner’ of the post, it is still the Glow Admin. It is the name displayed for the Admin that is wrong. The blogs support can fix this quickly but still do not fully understand what is causing the problem. Please raise a call via your Local Authority to the RM Glow Help desk if you see this. This is a problem with the user account on the blogs instance. It can be fixed by the support team and you need to log a call with the username of the user affected, what they did to produce the error (Clicked on tile for example) and the code. To report an issue you raise it through your Local Authority with the RM help desk.